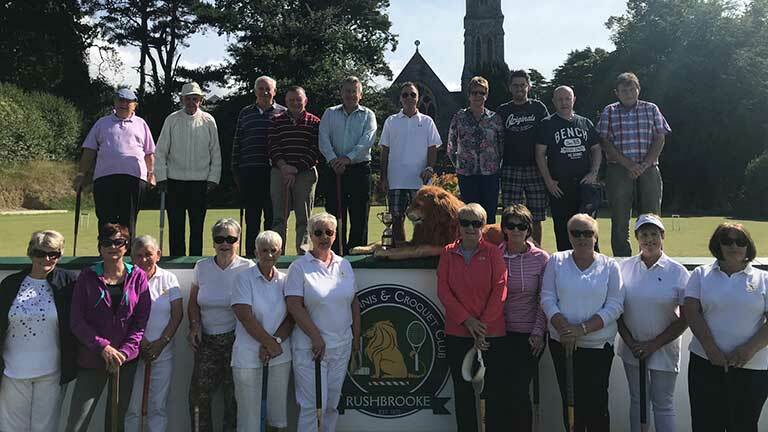 Croquet is traditionally played on a Wednesday and Saturday afternoons and is an excellent way to relax and enjoy the beautiful surrounds the club has to offer. Croquet balls and mallets are available at the club for use if required. 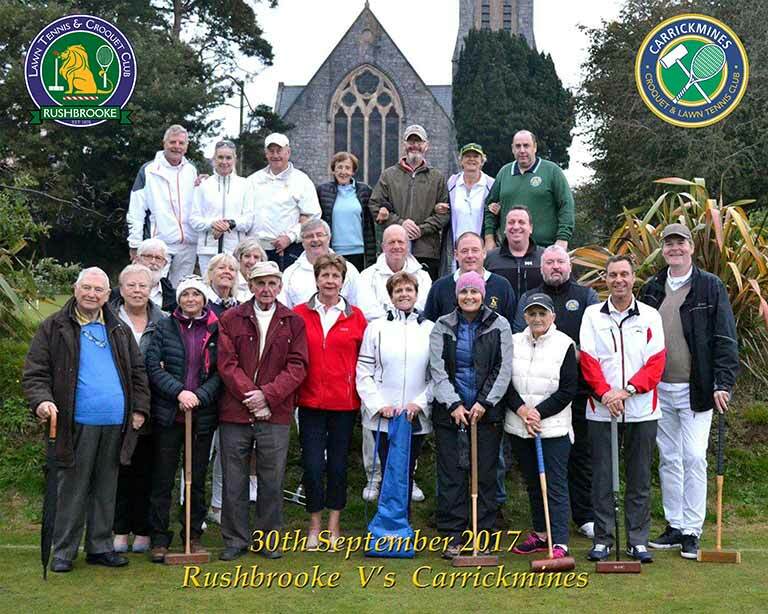 The club holds various croquet competitions throughout the summer months. 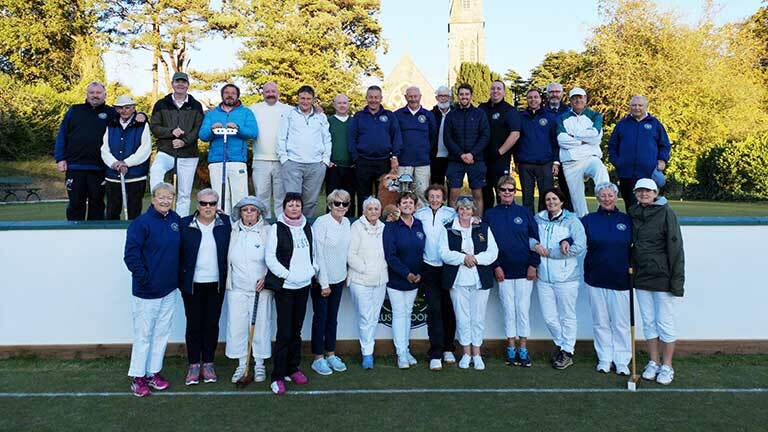 If croquet is a game you would be interested in playing or trying out please contact Mercy Murphy for further details or coaching if required on 087 298 9980. Lawn bowls is also played over the summer months and an open tournament is held in June every year. Just knocking balls thro’ hoops! Sounds easy! But there’s a lot more to croquet than meets the eye. There are two games, the one with the easiest rules is Golf Croquet. Is it like golf? Not on your life, the game is played with four balls. The balls are played in order-blue, red, black and yellow. Each player’s turn is a single strike of his own ball. The player, or pair playing blue and black v. -opponent/s red and yellow. The aim is to progress any one of your pair thru’ the hoops in sequential order. The first to score seven hoops is the winner. Sounds simple, except that your opponents will be trying their best to stop your progress by striking their ball to cannon yours as far away from the hoop as possible. Skill?? Compare the hoop with a golf hole. The hole is twice the size of a golf ball. The width of a hoop is only 3-4 mm wider than the croquet ball. A croquet player’s strike to successfully score a hoop from 20 yards is just as satisfying as the golfer’s drive from tee to green or a 20 yard putt! 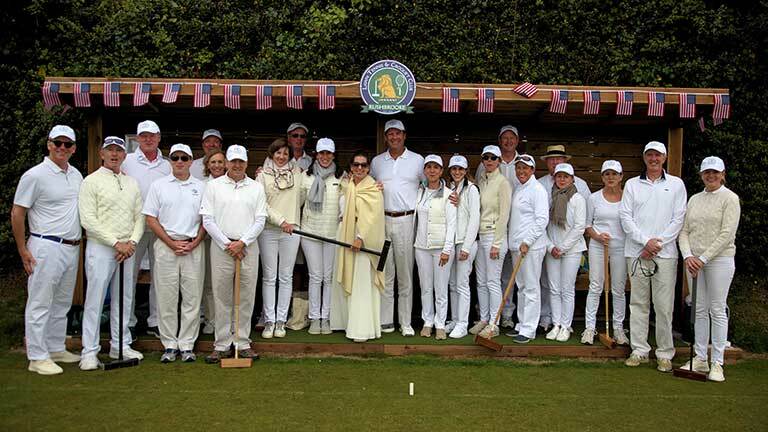 The other game is Association Croquet. This is tactical, like snooker on grass, except that your two balls must make all six hoops in order, then back again in reverse order to finish at the center peg. Basically, each competitor, or pair, take turns to strike. Each turn consists of a single strike but extra strikes can be earned by causing the opponents ball to hit any of the other balls. This is called a roquet (ro=kay) The opponents ball is then placed against the hit ball gaining a second strike, a croquet (cro-kay). This shot is arranged to send the hit ball to a suitable position for future use or to disadvantage the opponent, and the players ball to a suitable position for a continuation shot to roquet another ball, or perhaps run the next hoop. This enables the skilled player as in snooker, to make a “break” of several hoops. A handicapping system enables beginners to play on level terms and have as many as 24 extra turns which are called bisques (bisks). 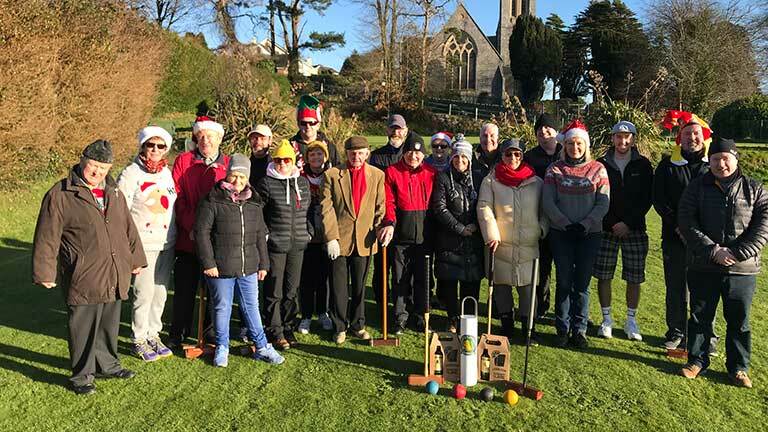 The Croquet Club play from March to the end of October in the summer with a reduced schedule in the winter when only one lawn may be available. It’s a fine sport, why not try it. The game offers a chance to meet new friends, hone a new skill with gentle exercise as a bonus. We hope to see you at any time or all the time at RLTCC! 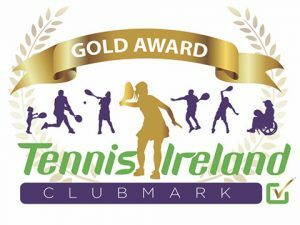 Copyright © 2019 Rushbrooke Lawn Tennis. All rights reserved.